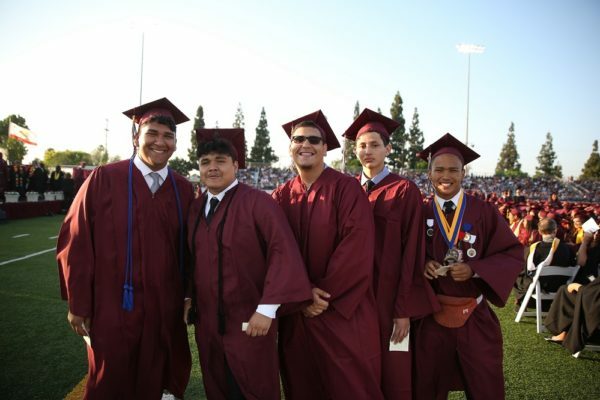 Paramount Unified School District has partnered with Compton College to launch an Administration of Justice Early College Program, emphasizing the District’s key focus of creating college and career ready graduates. Students will have the chance to earn their Associates Degree for Transfer in Administration of Justice, while earning a high school diploma at the same time. The program begins in summer 2019 with a cohort of up to 30 ninth-grade students. 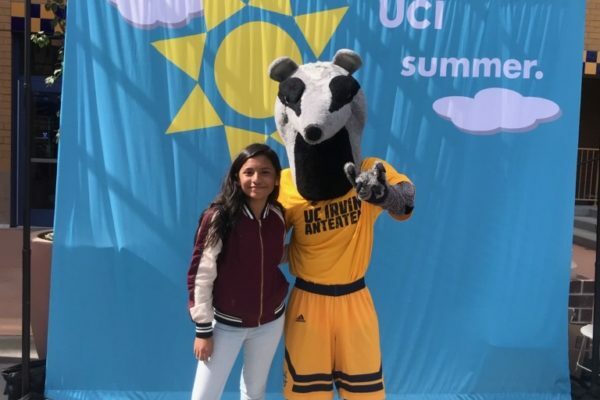 More than 100 seventh-grade students from Hollydale K-8 School toured University of California Irvine on Feb. 13, learning about college culture through visits to the bookstore and a discussion with students about admission, housing and costs. 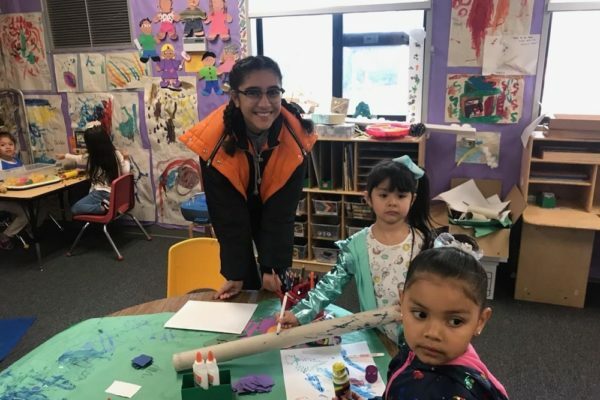 Students at Paramount Unified’s Odyssey STEM Academy are learning from successful professionals at hospitals, in city government buildings and at schools through a six-week internship program that immerses them in real-world careers. Students are spending two days per week in their fields of study from Jan. 14 to March 8. Students were required to seek out their own mentors and apply for the internships through job fairs and personal visits. Students will continue with new internships throughout their four years to learn new skills and career possibilities before they graduate. Paramount Unified operates 10 elementary schools, four middle schools, one K-8 school, two high schools and alternative education programs. Paramount Unified School District strives to be an exemplary district. In order to achieve this, all stakeholders of the District must have a clear sense of its goals. 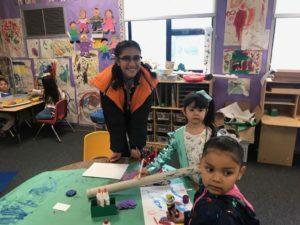 They must seek out, understand, and emulate the characteristics of exemplary schools and be ready to contribute their knowledge and talents to transform this vision into a reality. Paramount High School students are learning to program robots and build their own apps in a computer science pathway launched this fall. 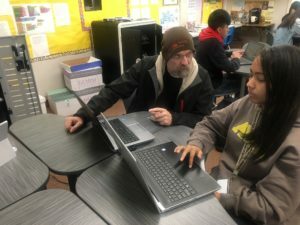 The District added computer science to its career technical education (CTE) pathway programs, which prepare students for success in college and career in specific areas of study. About 40 students are enrolled in the beginning course. The District will add advanced courses each of the next three years to complete the four-year program. 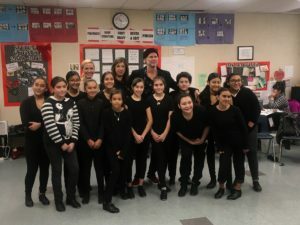 Zamboni Middle School welcomed Red Hot Chili Peppers drummer Chad Smith for a visit on January 17 to inspire students in music, visual arts and dance classes. Smith, who has been inducted into the Rock and Roll Hall of Fame, will serve as a Turnaround Artist mentor to Zamboni as part of the Turnaround Arts: California program, which provides support for arts in select schools. Paramount Unified community members will bring out their quarters to help raise money for college scholars at the second annual Quartermania event at 4:30 p.m. Thursday, Jan. 24 at Paramount High School, 14429 Downey Ave., Paramount. The event will feature dinner, giveaways and an auction from 6 to 8 p.m., when attendees will bid using quarters. Tickets are $20 and include dinner and a bidding paddle. Paramount High School senior Osvaldo Galaz is affectionately known around his campus as “the chef,” a title he has earned due to his considerable culinary talent. 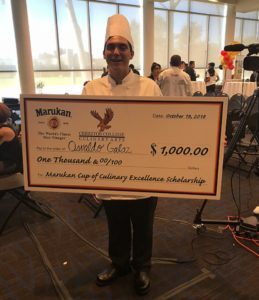 Galaz showcased his ability for all to see in October when he faced off against a handful of select high school students and won the Marukan Cup of Culinary Excellence at Cerritos College. Paramount High School will ring in the holiday season with performances from its music and drama students with two productions on Tuesday, Dec. 11. 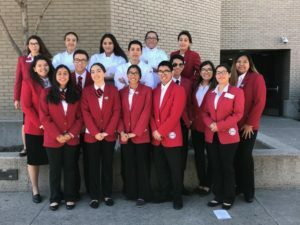 Paramount High School students are learning how to start businesses, build websites, prepare for job interviews and other vital life skills through the school’s Family, Career and Community Leaders of America (FCCLA) club. The after-school club meets weekly. Members of Paramount’s FCCLA attended the annual National Leadership Conference in summer in Atlanta, where students from across the country competed in 30 events. 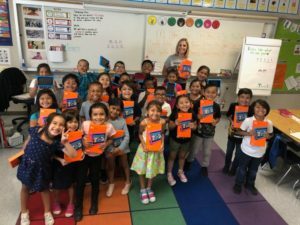 Rigoberto Sanchez, a parent at Howard Tanner Elementary, donated $2,000 worth of brand new Amazon Fire Kids tablets to his daughter’s first-grade classroom to show his appreciation and support for his daughter Yorley’s education. Sanchez heard his daughter’s teacher, Sheena Mora, mention during a September Back to School Night that she had recently acquired five tablets for her first-grade class through Donors Choose. Mora wanted to integrate child learning technology into her curriculum. 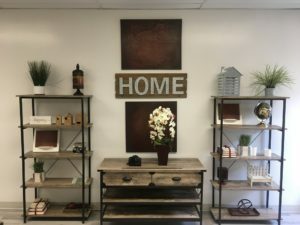 Some 50 students with special needs are using a new apartment at Paramount Adult School as a tool for learning the skills they need to transition to independent living. The class is the first to use the apartment, which was constructed in spring. It features a living room, kitchen and bedroom spaces along with a washer and dryer. 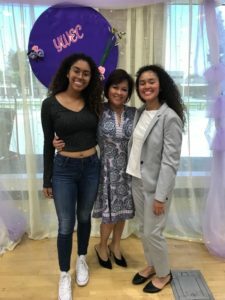 Paramount Unified held its second annual Young Women’s Empowerment Conference on Nov. 3 at the Paramount High School Senior Campus. The event featured guest speakers, entertainment, and workshops that cover mental health, social media, college awareness and other critical topics.